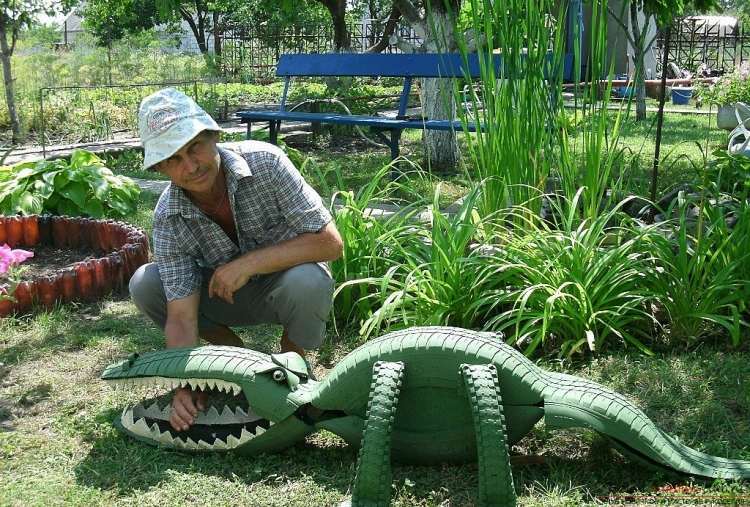 Nowadays, responsible young people are doing their utmost to preserve nature and lead an eco-friendly life. 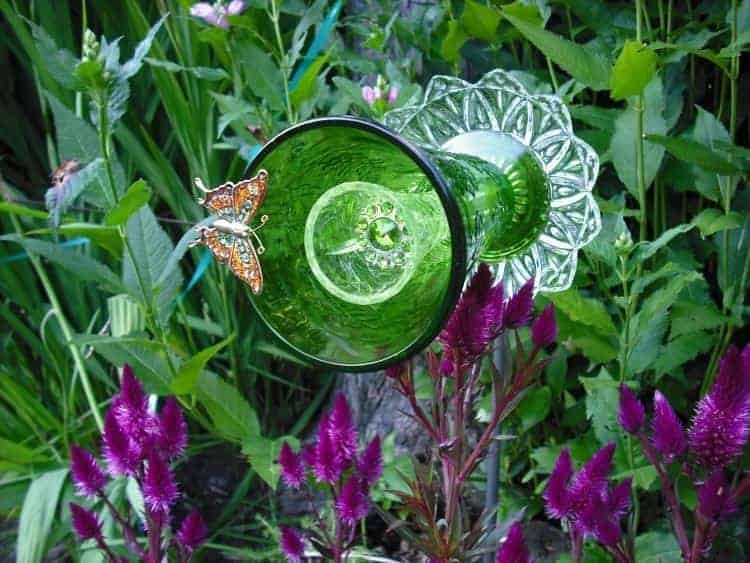 It is necessary to recycle, reuse and dispose of as little as possible in the trash. 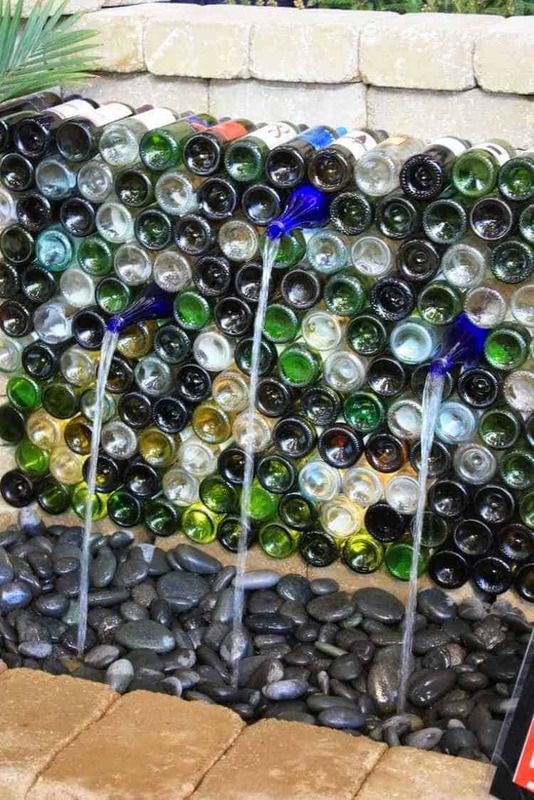 This contemporary approach, apart from being ecological, redefines our creativity in a fascinating way! 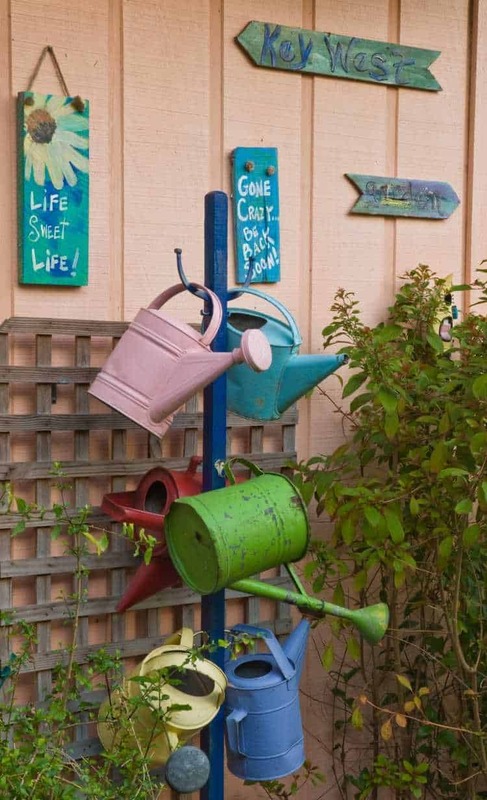 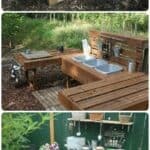 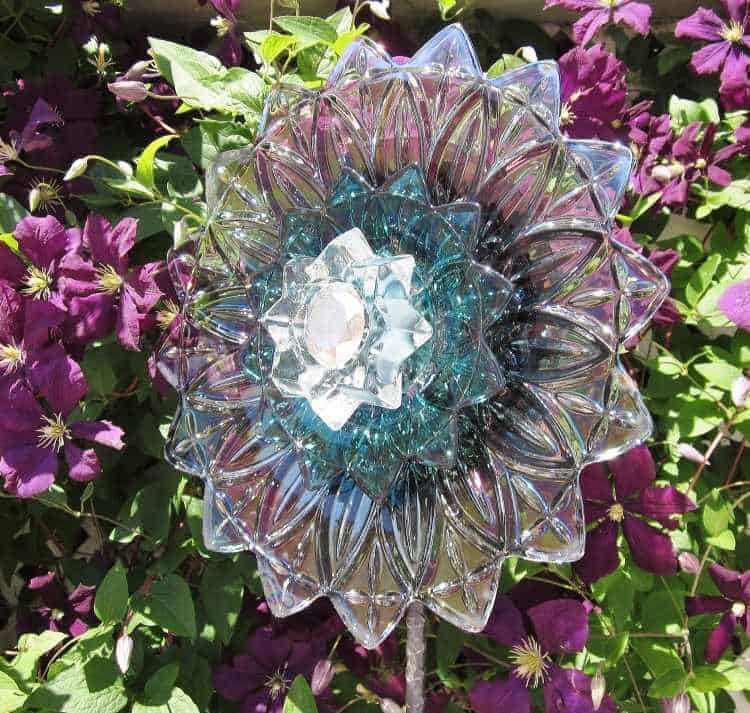 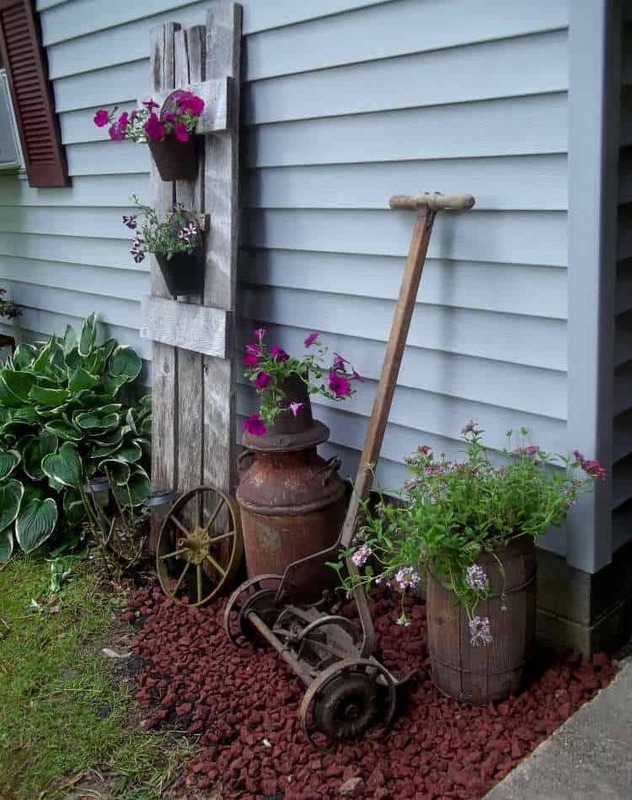 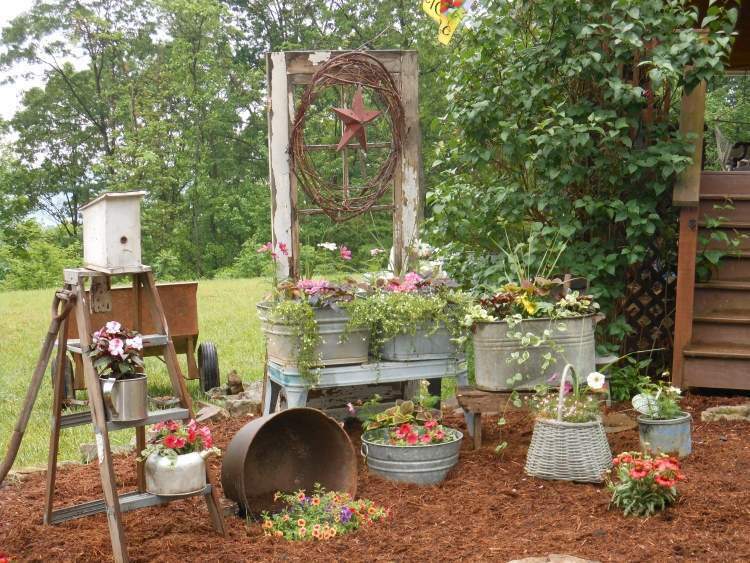 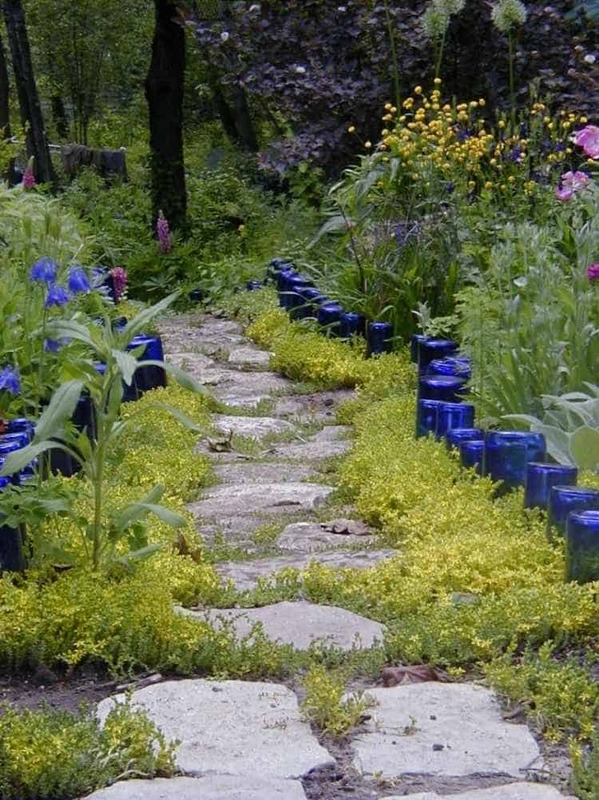 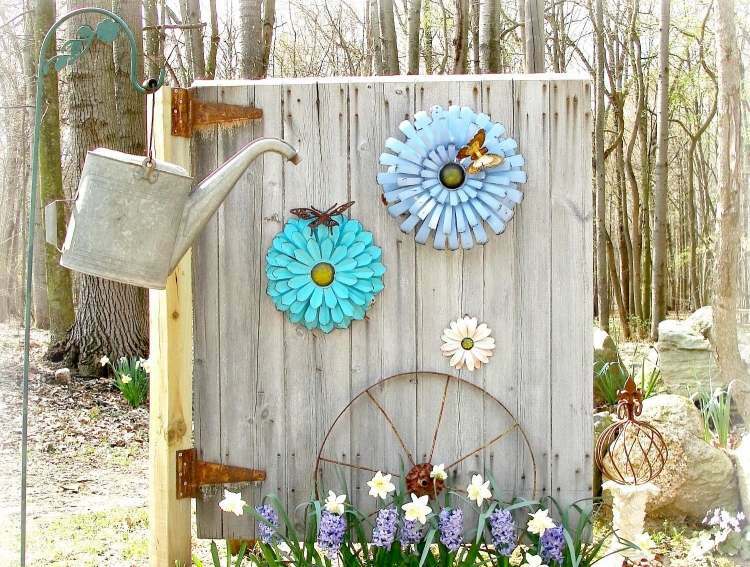 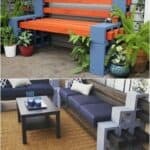 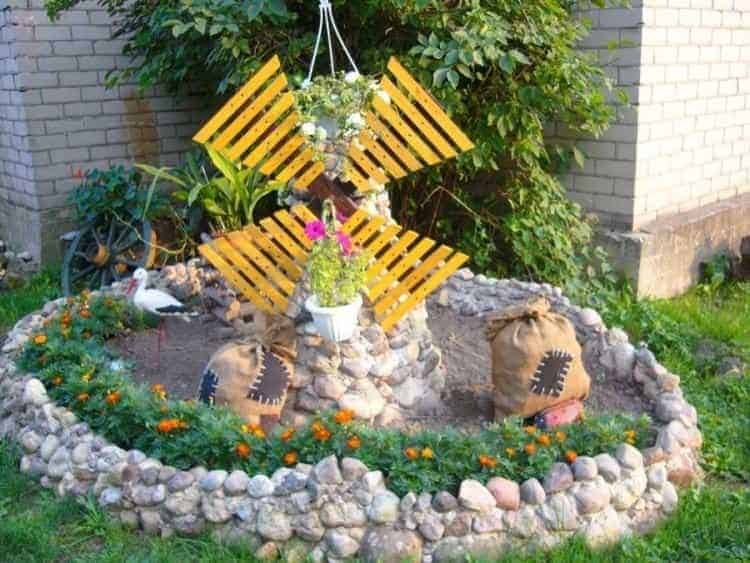 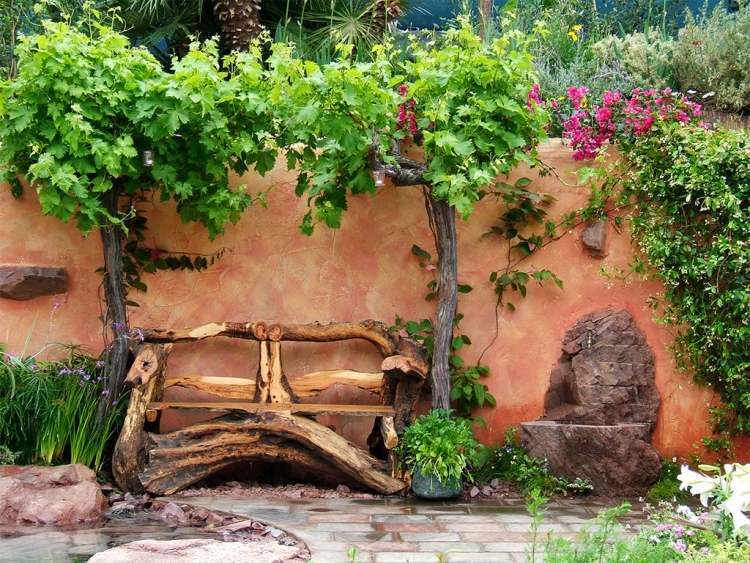 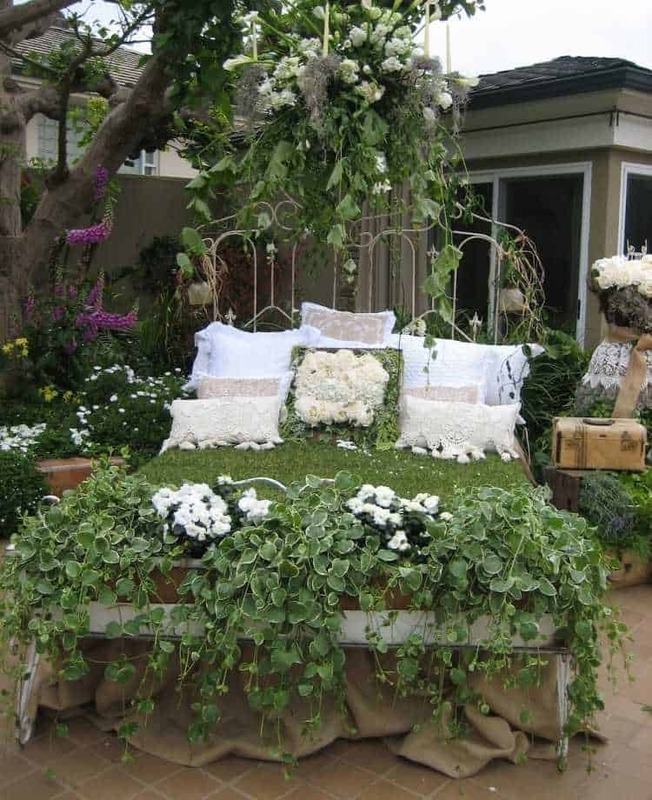 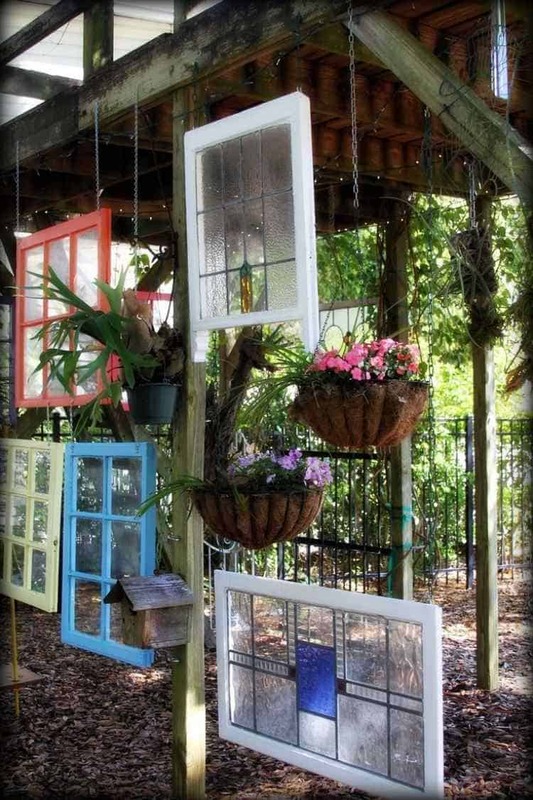 Crafting into old objects is becoming an increasingly popular hobby and when it comes to garden decoration in household items and gardening tools, there are plenty of super artistic ideas! 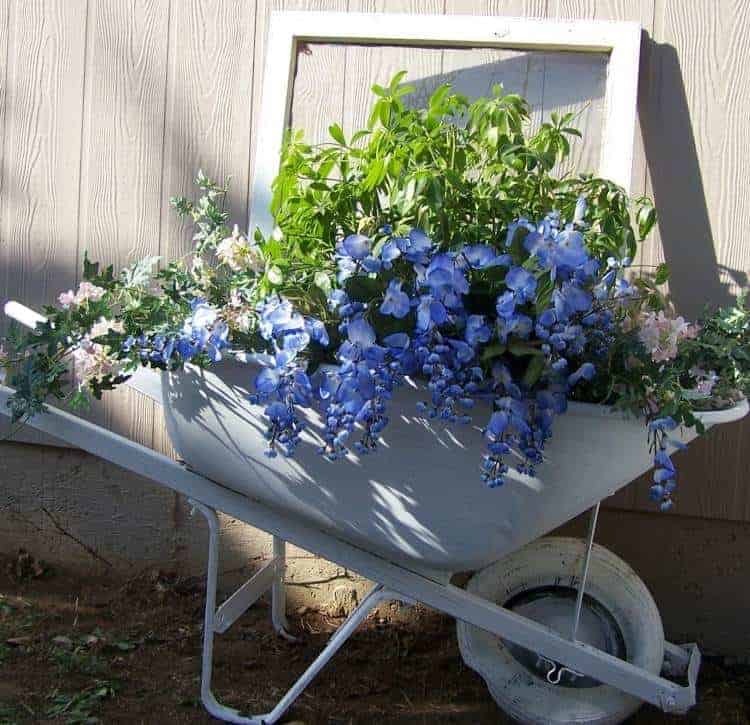 No, do not imagine a dump of old things! 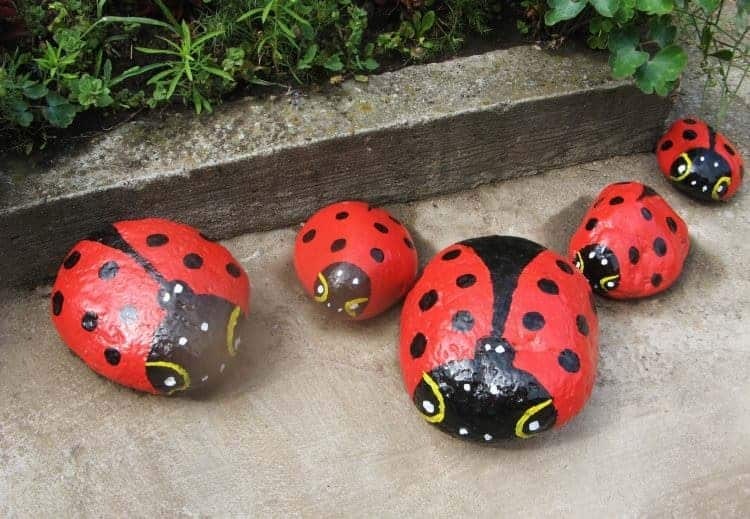 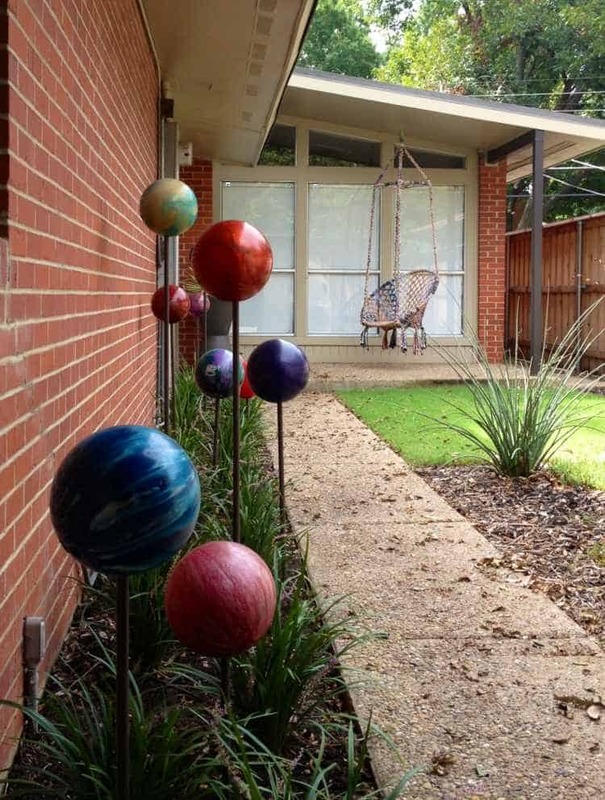 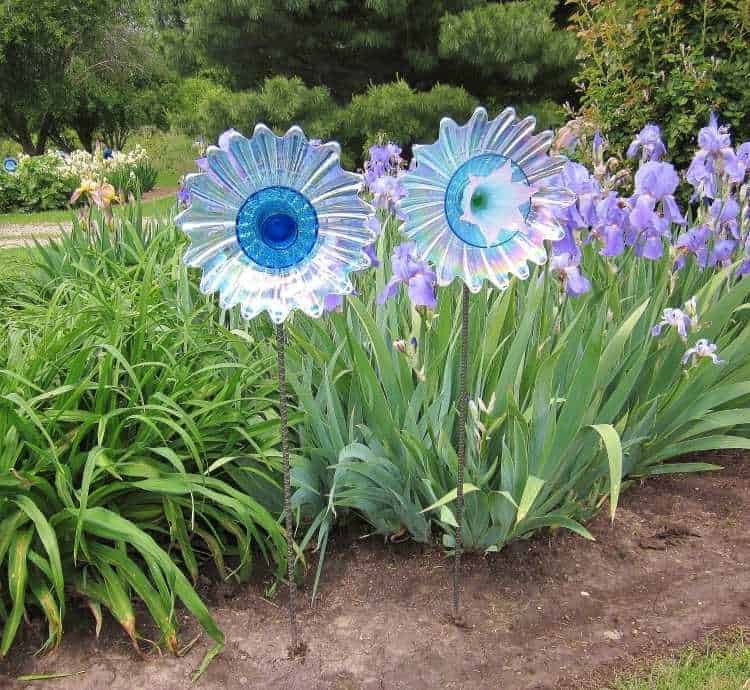 These are super cute objects used again in a creative way, but this time as an attractive garden decoration. 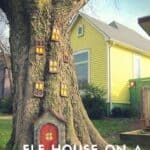 But let us see the ideas! 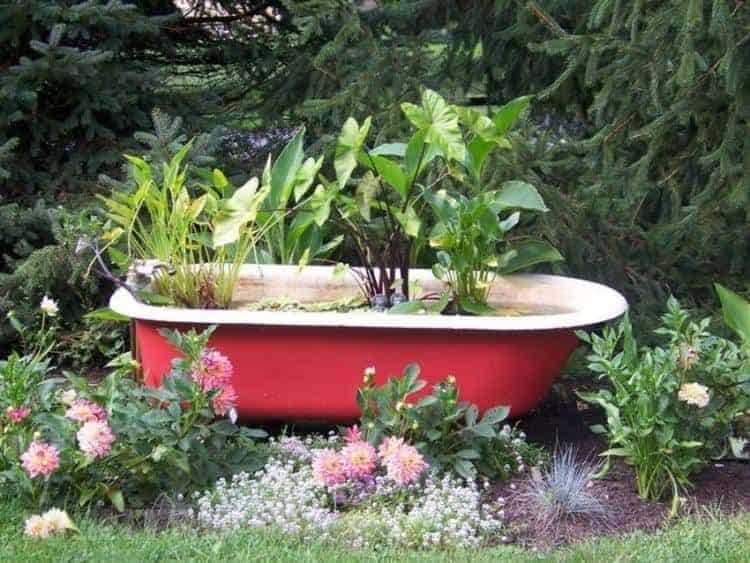 Instead of buying new flowerpots, old buckets, wooden bins, several types of boxes and old containers may be appropriate for this purpose. 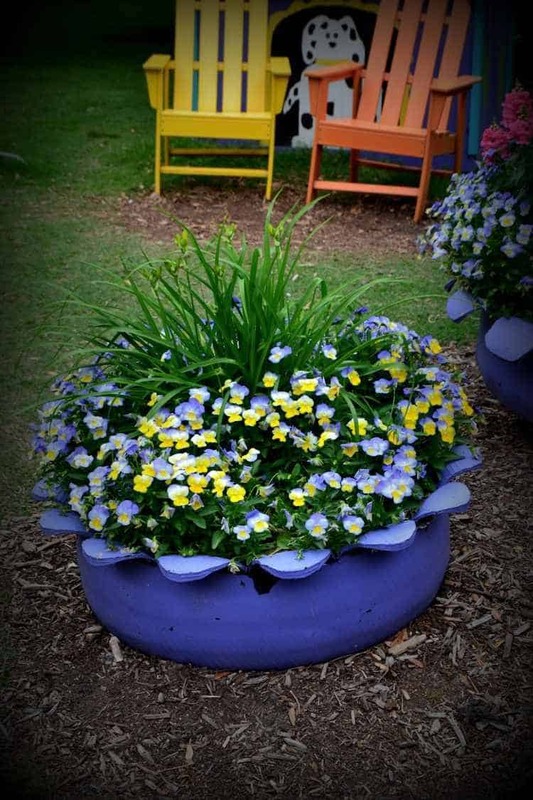 Be careful though, do not forget to drill some drainage holes at the bottom of the containers. 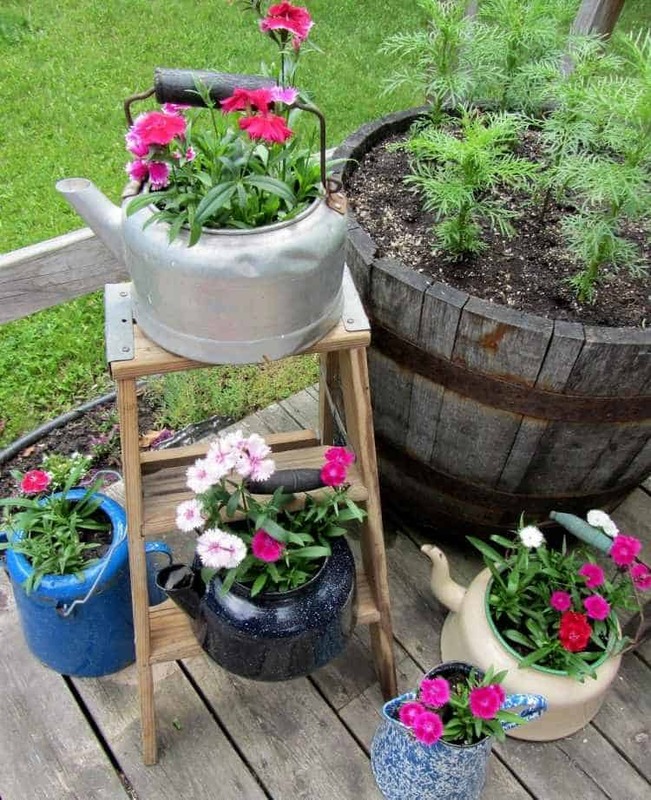 Use as pot holders old braided baskets, porcelain teapots, watering cans and zinc buckets - there are many possibilities! 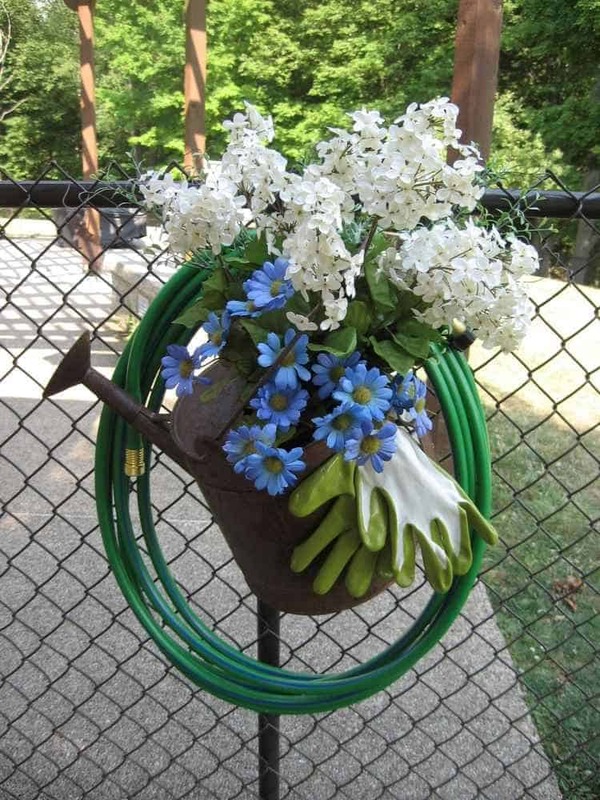 Add a milk jug as a vase for the flowers. 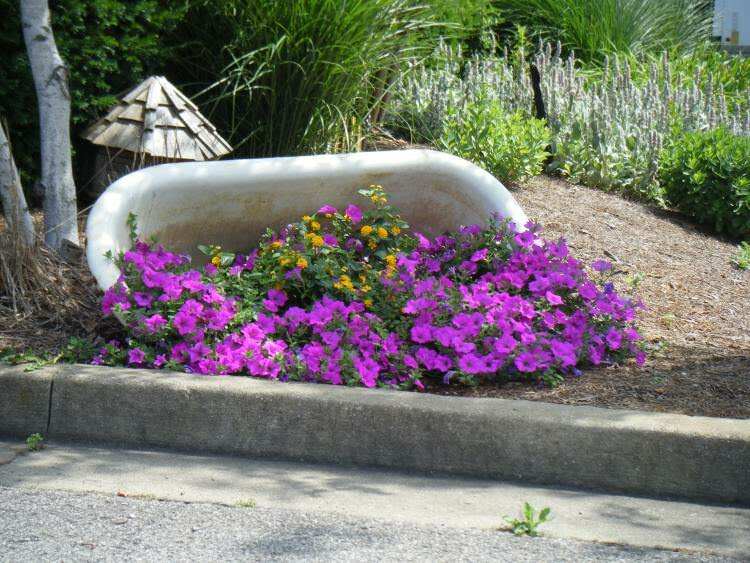 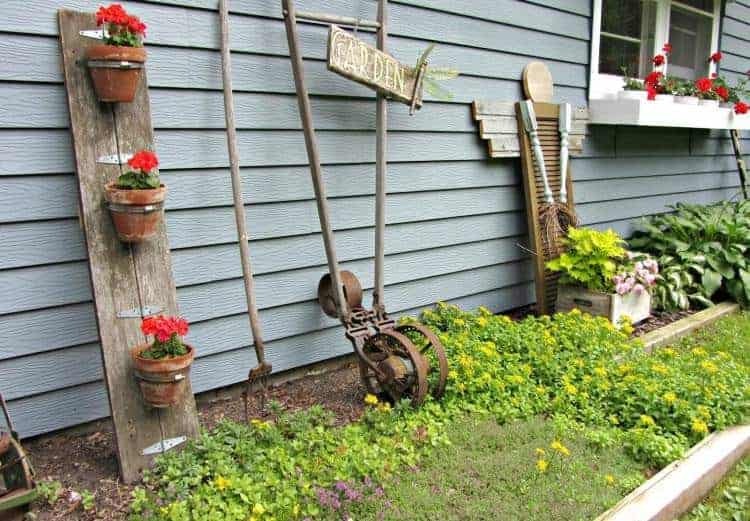 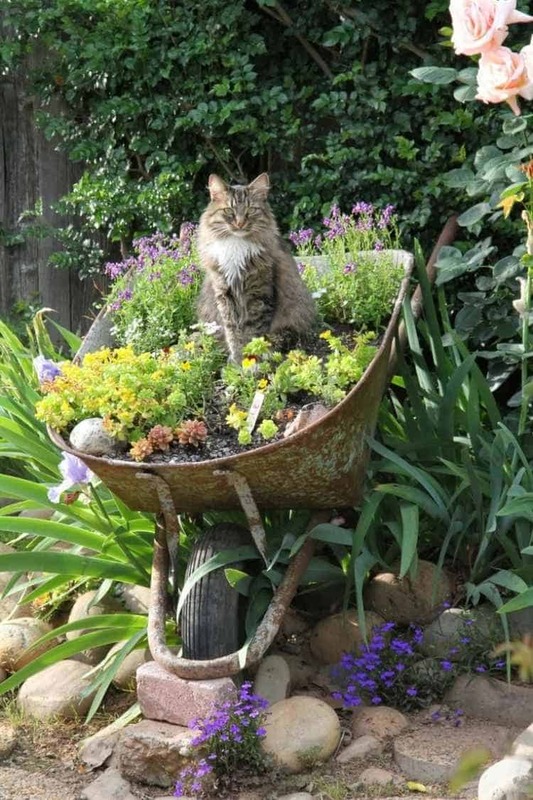 Even an old rusty wheelbarrow can be used for this purpose to store the original pots and improvised planters. 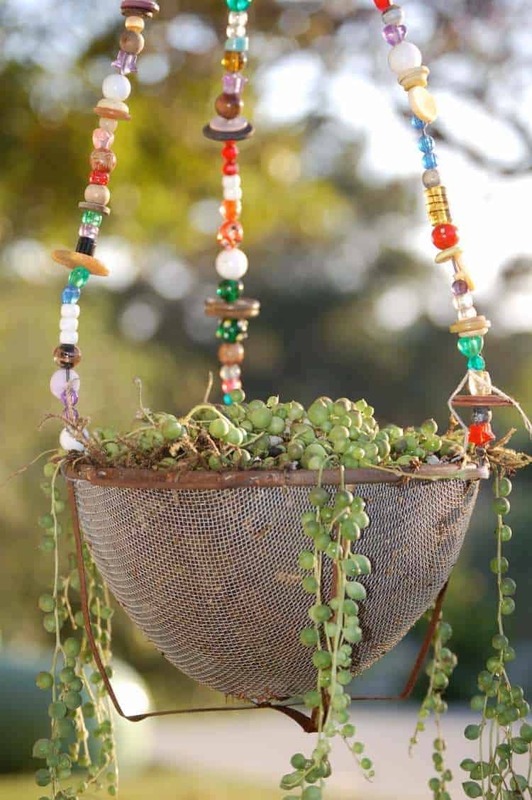 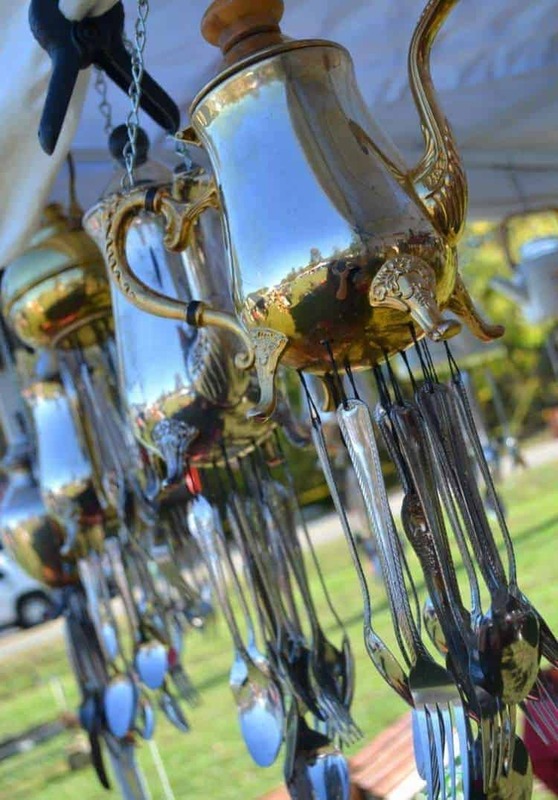 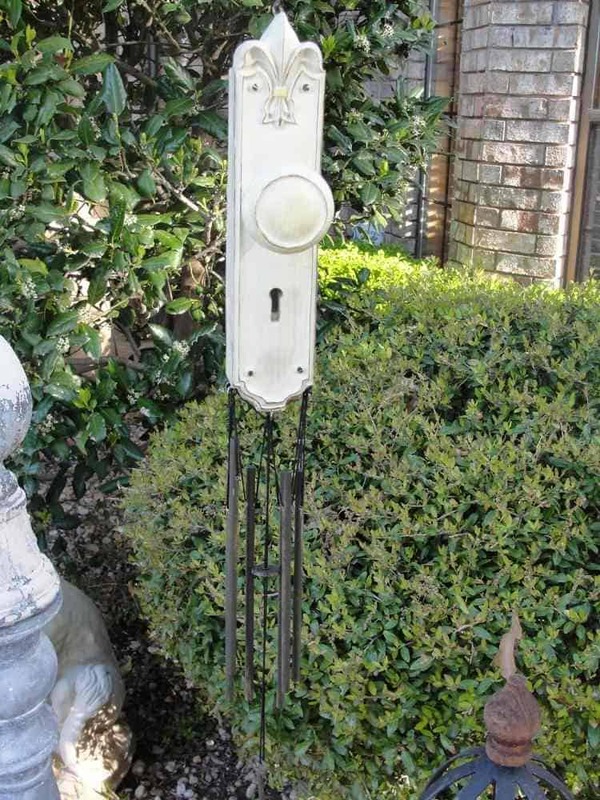 If the sounds of wind chimes fill your heart with joy, you will be happy to discover that making a wind chime with household items and utensils out of use is not so difficult. 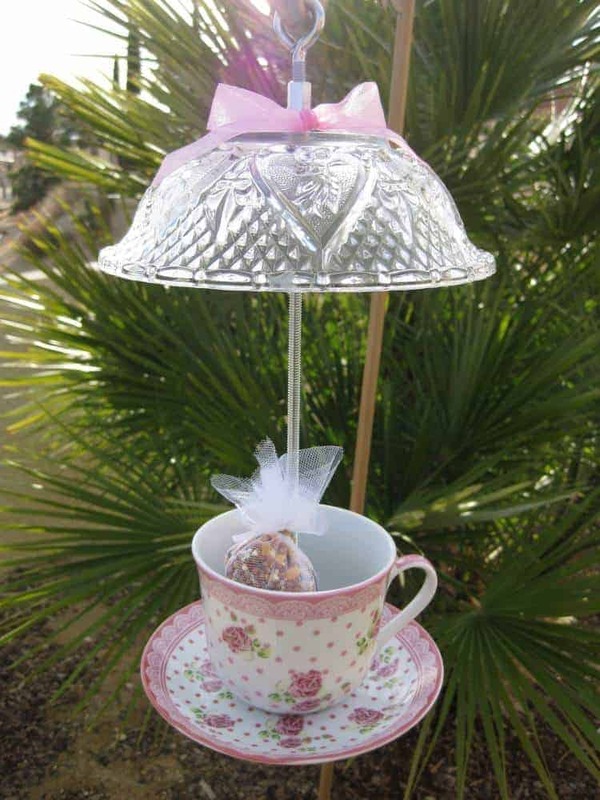 Tie the old cutlery to a metal teapot to create a super original decoration. 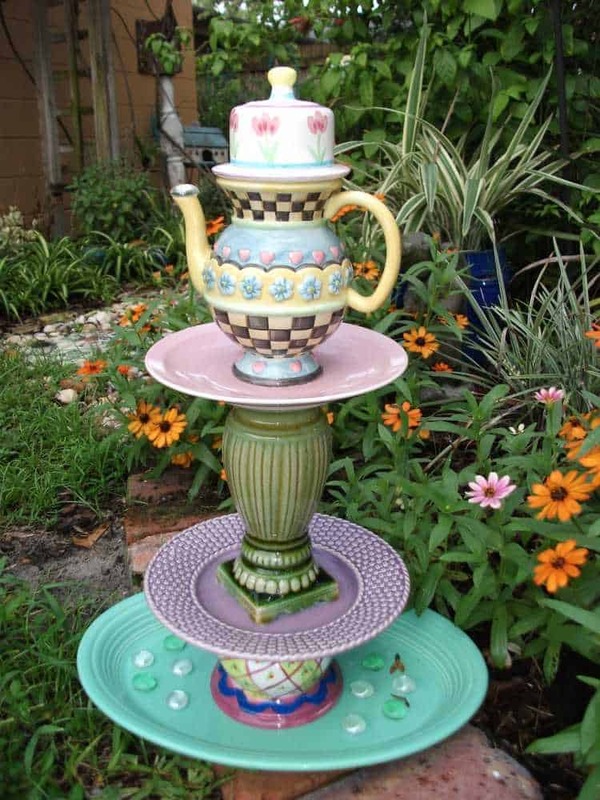 The incomplete services of teacups are super appropriate to make a charming bird feeder. 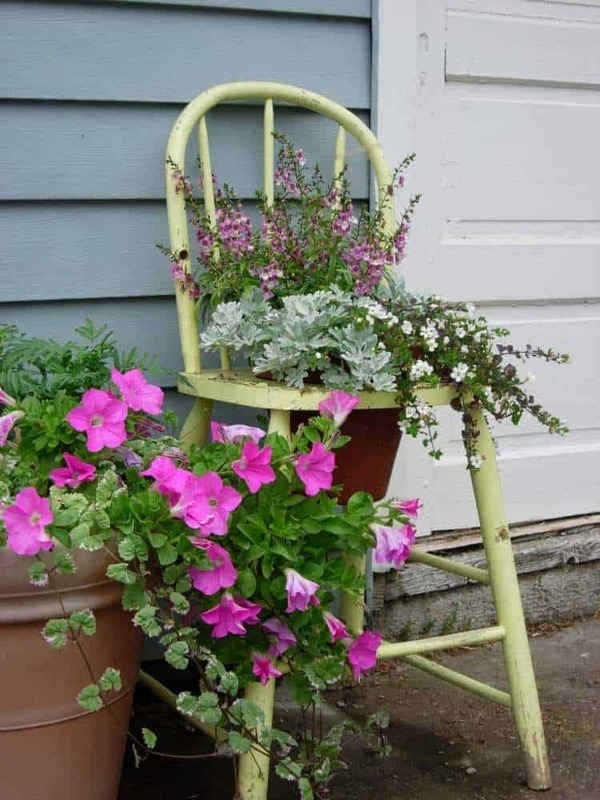 For a guaranteed success in garden decoration, opt for larger objects such as wooden stools to store your flowerpots, car tires painted in joyful colors and even some old vegetalized metallic bed! 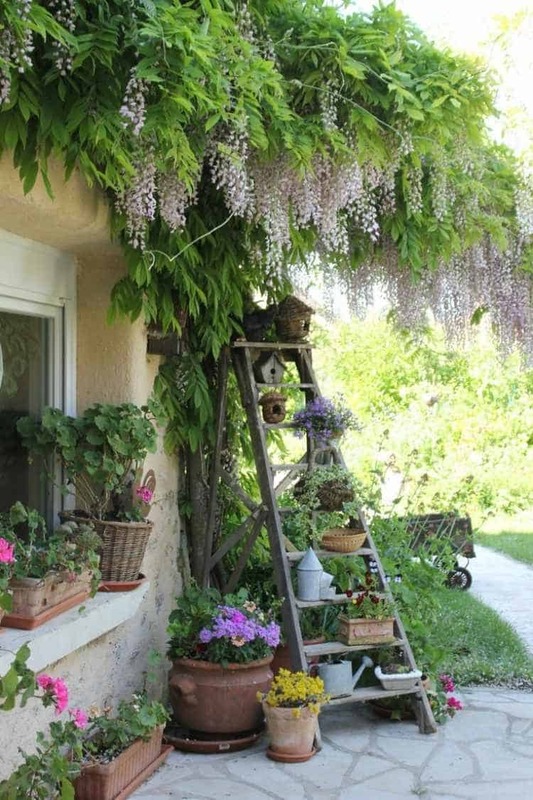 So, you will have, no doubt, the admirations of visitors and passers-by!